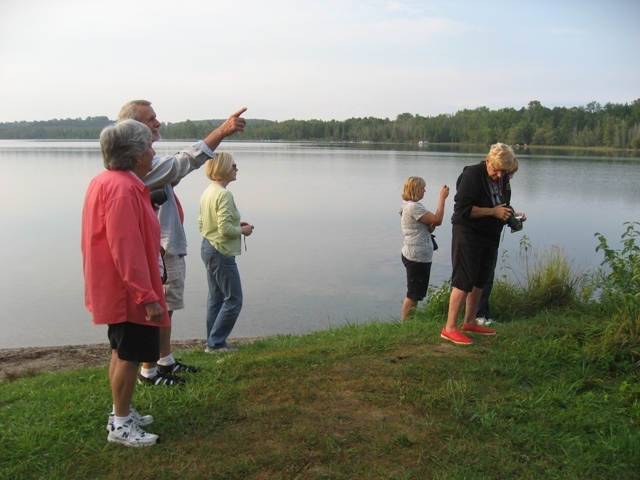 Photographers Babs Young and Dana Vannoy led a group of intrepid amateurs on a morning adventure on Wednesday. Babs writes: I had an opportunity to photograph in Bellaire last week and took this photo of a bed and breakfast called the Grand Victorian. What a wonderful example of Victorian architecture. 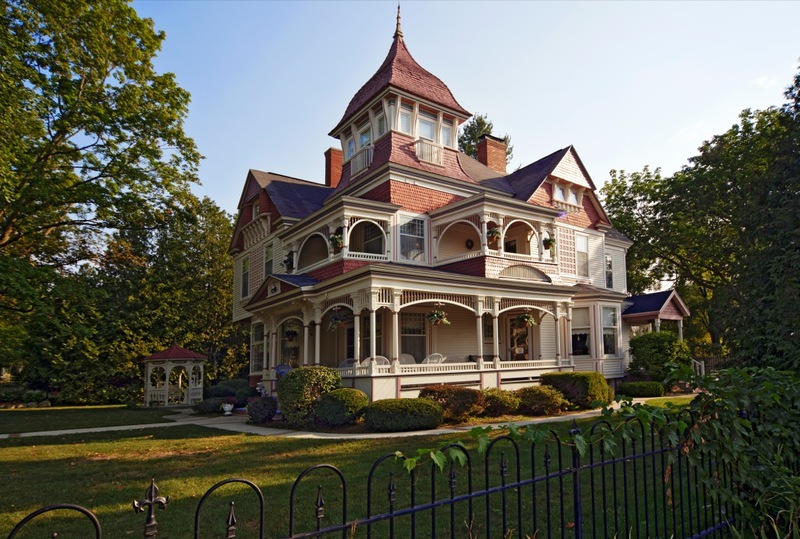 This home was built by Henry Richardi in the late 1800’s. He was the owner of the Richardi & Bechtold Woodenware Factory. The story that’s told says he built it for his intended bride-to-be, but they never married. Oh, well. Isn’t that a spectacular place? It is. Now I must tell you that I was one of the intrepid amateurs. Babs showed you a glorious Victorian mansion. I will show you . 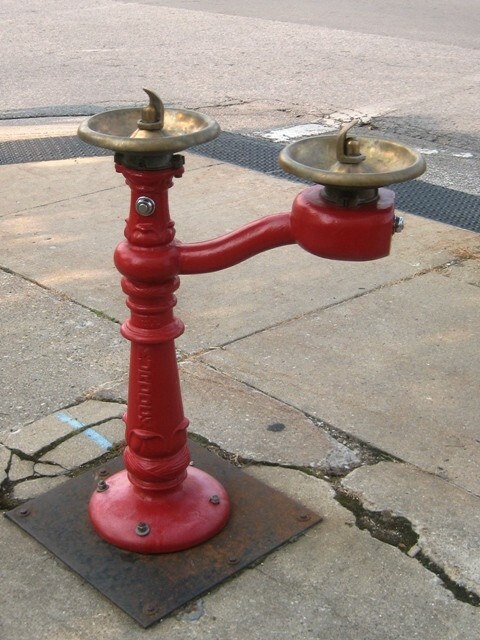 . . a red drinking fountain. Just not the same, eh? Ah well. We took pictures all over the village. 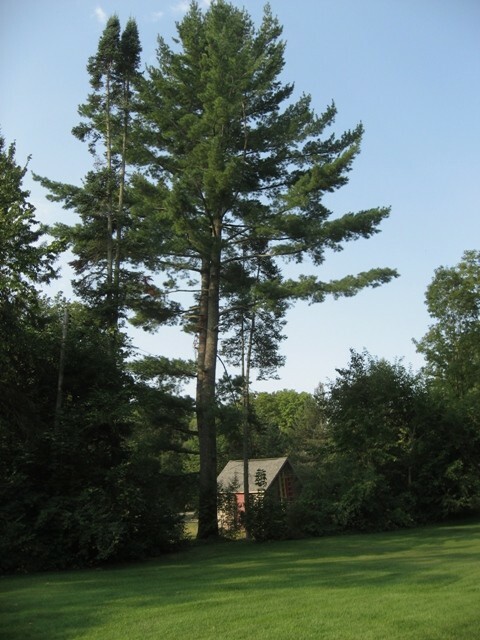 Believe it or not, this glorious white pine and the little house beneath it are right in town. 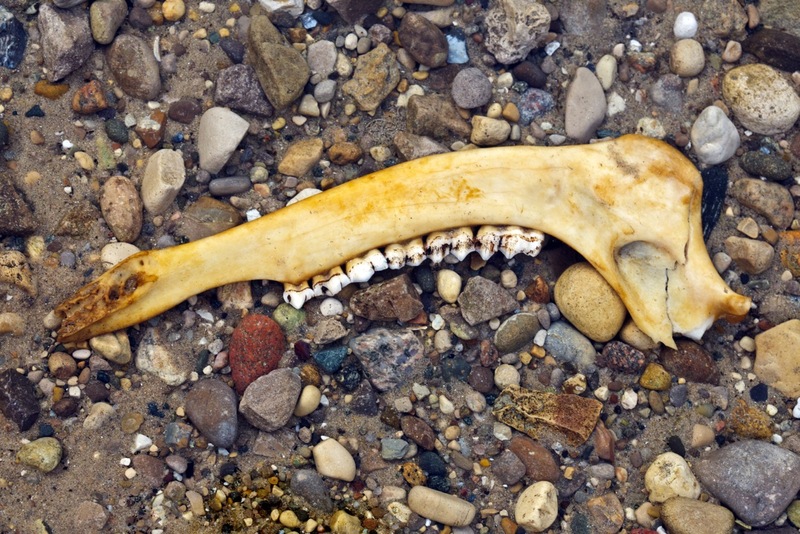 In case you’re wondering, I am pretty sure that is the jawbone of a whitetail deer, and that it died of natural causes. Of course, they’re all natural, aren’t they? Even when we’re eaten by fierce muskies. It’s surprising how much fun you can have wandering around looking – really looking – at the world with photographers like Babs and Dana. Or maybe it’s not surprising at all. We rarely see what is in front of us!! But that brunch did look good! I suspect the cost of maintenance is one reason that such confections are more likely to be B&B’s than private homes these days. There are a surprising number Around Here, though, some of them summer cottages. One, the Queen Anne style mansion of Traverse City leader Perry Hannah, has become a very dignified funeral home. (See Andrew Jameson’s photo here.) It’s on the National Register of Historic Places. Certainly provides ample room for creative musing. What a wonderful-looking house. Maybe the hubby expected her to clean it. I would have headed for the hills …. I suspect that Mr. Richardi had people for that. And get this – the house had electricity, central heating, and indoor plumbing! Luxury! But Henry ended up living there with his widowed mother. Maybe the bride-to-be was intimidated by Mama. It’s interesting and probably quite reasonable that so many of these fabulous Victorian homes – here, in St. Louis, in Galveston – were built by men with business interests related to wood in one way or another. I saw that the factory burned in 1906 while the workers were at dinner, and the firemen didn’t do too well once they arrived. I’m sure it went quickly. In any event, it was a total loss at $20K and insured for only $12.5K, so the news report said “it will not be rebuilt at this time”. Perhaps the bride’s change of mind was related to a change in her prospects. I think the big house is beautiful, but I would be happier, I think, in the little one. Makes sense. Lumbering was a powerful economic engine during the last third of the 19th century. The lumber barons in Michigan built their castles of wood, that’s for sure. And pretty much everything else, too. Then it burned. In 1905 the Richardi sawmill burned, the woodenware factory burned – but the house survived. Very dramatic pictures. Henry landed on his feet and built a power plant on the site of the former factory. 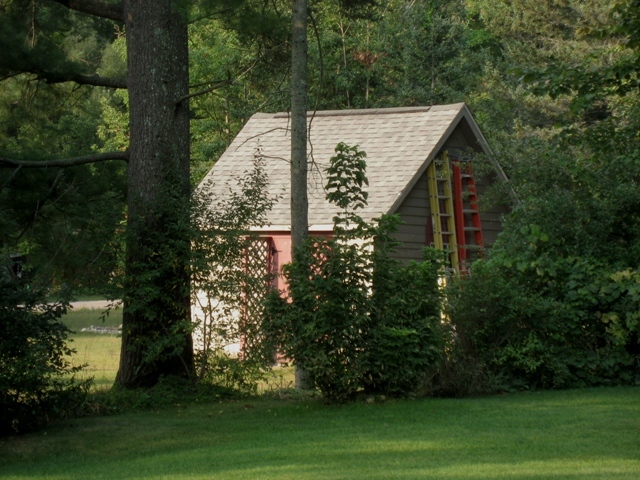 I like the little house better, too, especially as it has the white pine. I loved being part of the photographic group. To think all these sights are right in our backyard. All you have to do is to take the time to notice! I would love to know where you enjoyed brunch. I am fond of Short’s. Also MOKA. We went to Mrs. Pete’s, which is out Cayuga near the fairgrounds. It is your basic breakfast place. I saw some pretty amazing pancake concoctions being delivered to other tables, but I had eggs and hashbrowns and enjoyed them. I like it when someone else makes me breakfast. I kinda like the fountain too. Love the house. And had no idea deer had that many BIG teeth! The better to munch all the tender little fruit trees right down to the nubbins. Deer can be pestiferous. Pretty things, though. What an extraordinary mansion ! It makes me think of a Faulkner’s short story I read during the holidays. Not sure of the title. I like Sybil’s comment about the bride heading to the hills and agree with Linda : I prefer the smaller house. 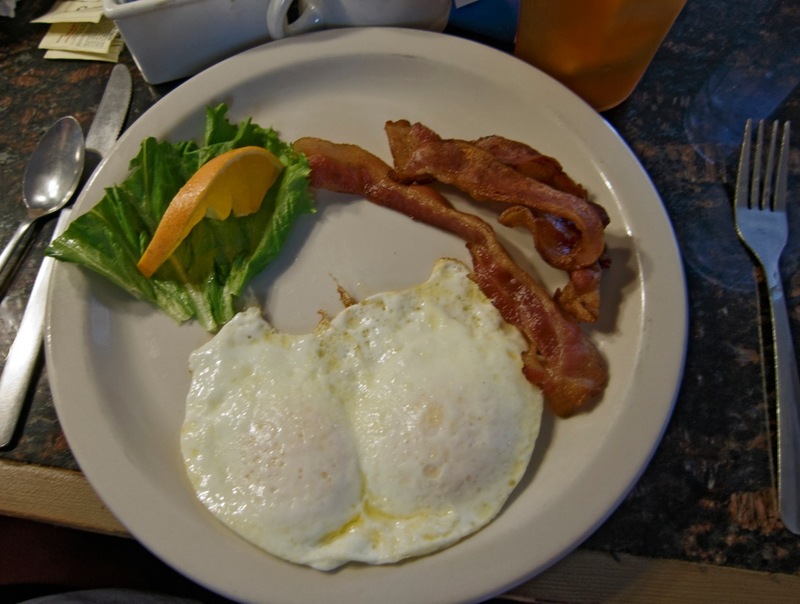 Photos are great, so is breakfast. Mercy. I hope my Civil War veterans don’t see that. They’ll all be wanting one.